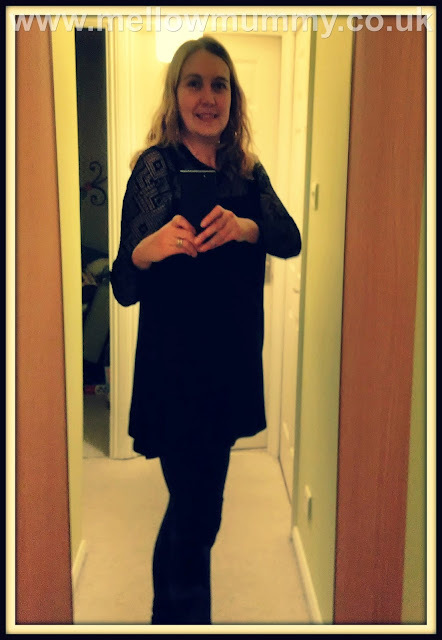 It is a little under a week until my work's Christmas party - more or less the only occasion during the year when I really dress up. This year I've chosen a floaty navy blue dress that is very under-stated and I've been struggling to find an appropriate jacket to wear over the top of it. 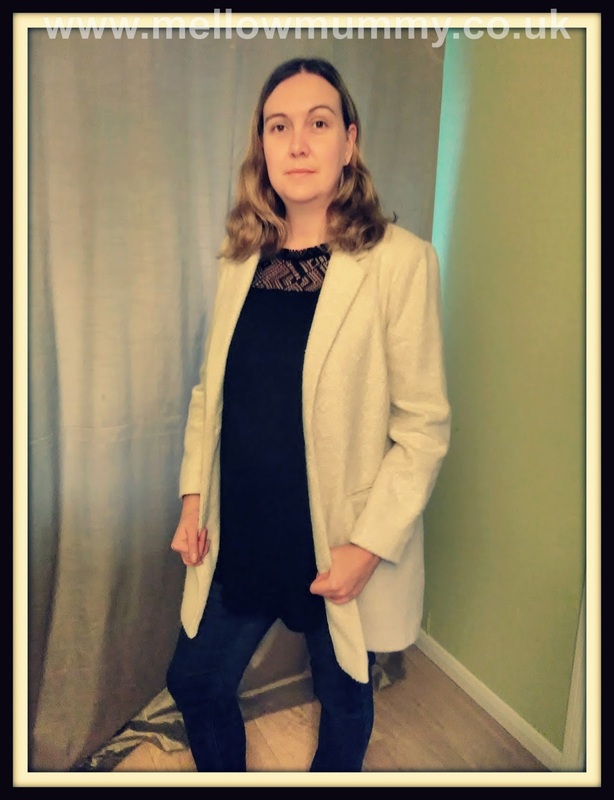 I've now found this smart lighweight textured coat from Simple Be which I think will work well and I'm expecting to get plenty more use out of it beyond the Christmas party. Most of my jackets and coats for winter are heavy. chunky and very casual; I like this one because it is warm over the body and arms and yet it is phenomenally light weight. Perfect as a jacket over a dress when it's cold and chilly. The pockets are false which is a bit of a shame as I'd love to be able to dig my hands in there to keep warm. There is one big button across the front if you need to hold it closed but to me it feels more like the sort of jacket that you fold over yourself and snuggle up inside. The reason I chose this as a party jacket from Simply Be is that I knew it would work well on numerous other occasions, not just Christmas party night. As a wintery wrap up over a pair of jeans it works perfectly and looks far less formal. I've chosen to pair the jacket with a lace trim tunic which, worn with a pair of black leggings and heels could in itself be suitably smart for an office Christmas party. However, worn with a pair of jeans I think a long-sleeved top and jacket combo is a wonderful winter smart-casual look. This lace-trimmed tunic top has lace-effect shoulders and arms but a solid block of fabric around the body. I've worn it with black jeggings or blue jeans. Now all I need to go with it is a pair of sparkly heels to complete the wintery look! Disclosure: Simply Be sent me the jacket and coat so that I could share my own winter style.